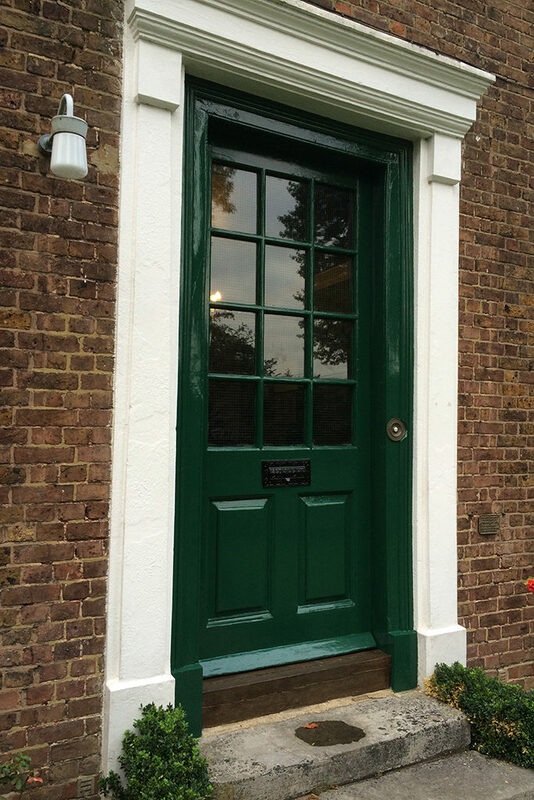 In 2010 one of the first tasks of the Friends of Ickenham hall was to have the front door repaired and painted in its original bottle green. At the same time a new solid oak threshold was installed, the cast iron letterbox was thoroughly cleaned and the brass bell push re-polished. More recently in August 2016, the door has had another coat of paint as the one from back in 2010 had become tired and started to flake off. With this fresh look, and letterbox finished in black the door should last for another 5 years or longer.